Please don’t feel sorry for our children. Phayo and Mona Lisa are biological sisters and love each other dearly. It used to bother me that people would tell us how they felt sorry for our children not being raised in a “normal home” and how sad it is that they can’t be adopted so that they could be loved “properly” by two parents. No matter how we try to explain that they live in a Children’s Home where Ian and I are their mother and father and they have many loving Aunts and Uncles, it doesn’t deter their looks of pity and many “helpful suggestions” on how we can do things better. I have been preparing a series of talks on “family” and “parenting” for our Care Team and came across an interesting article by an author called Theophanes that says, “Western Society seems to have this idea that there is only one type of family, that of the Nuclear form, which consists of a mother, a father, and children. This belief is an incredibly misinformed one as across the globe at any point in our social history there have been all sorts of views on what families are and how they should be composed”. He goes on to explain the difference between Communal families (often tribal), Nuclear families (married parents and offspring), Polygamist families (Swaziland), Single Parent (everywhere) and Unrelated (gangs/street kids). I know single parents who wouldn’t change their family structure for anything. I have friends who live with three generations of people in their home, and that is perfect for them. And I know many divorced couples whom wish their family life had turned out differently, but there is now a new “normal” in which they raise their children. But now that I am mother to 164 children I have noticed an undercurrent in conversations I have with Westerners that our family here on Project Canaan is somehow “second best”, and I disagree. The Lord is doing a “new work” here, and our children reflect that. They are being raised in much of their culture, speaking their language and learning about the deep heritage that they come from. 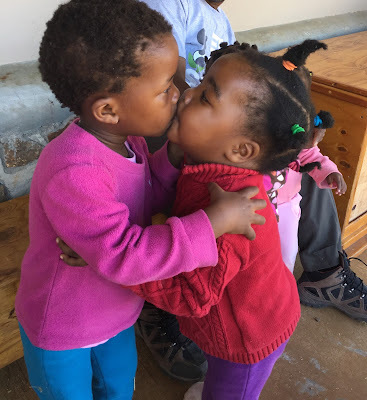 Our children are healthy (even the ones being treated for HIV/AIDS), strong, smart and even the most disabled child is loved and cared in a way that would be given to an “only child” in western culture. Our Care Team are all “stay at home moms and dads”. Our children are not distracted by electronics or an over active schedule. They are loved by many in a large village, some whom they see once a year and some whom they see every day. They play, fight, cry, whine, laugh and love, like any other “normal” kid. In today’s meeting with my staff I will ask the question “What makes a healthy home” and “What makes an unhealthy home?” Isn’t that really what we should be trying to achieve? A healthy home environment filled with love, hope, inspiration, stimulation, discipline, joy, faith and Jesus at the core? Our family doesn’t look like your family. Our family doesn’t look like ANY other family. We are unique, and like you, we were all placed in our families by our heavenly Father, who has great plans for our lives. For that I will be forever grateful. Thank you all for being a part of our village. 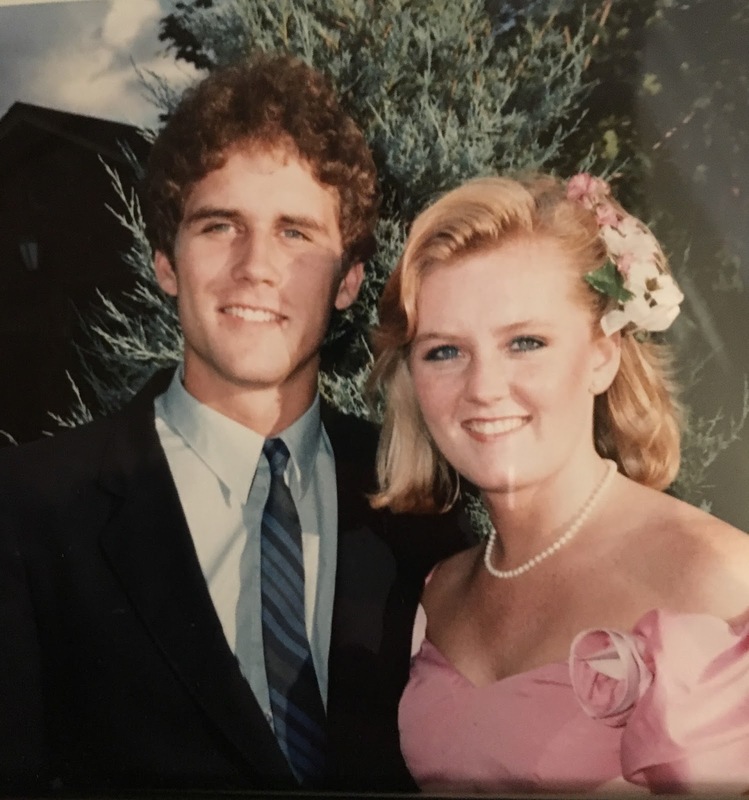 If you would like to financially support our family, please become a monthly donor today. In the US click here. Live from Swaziland … I am off to a morning of games and fun with our big kids. PS – Jonathan is still at the hospital, but he is responding to treatment and they do not think that he has TB. They will discharge him when he weights 8.5 KG (18.9 pounds). Thanks for your continued prayers for him. We never thought this would be possible! (And an update on baby Jonathan from last week). You have all read about the containers that have been filled in the US and Canada and shipped to Swaziland. They are typically filled with diapers, wipes, books, children’s toys etc. BUT, this past week packed a container here in Swaziland, to ship to the US! Yep, and it wasn’t filled with diapers or wipes, but it was chock full of handmade Christmas ornaments, beaded animals, key chains and jewelry, all made at Khutsala Artisans at Project Canaan! Our timing was perfect and our July volunteer team was here to pray over the container before it was sealed and sent to sea. In 2013 we had the idea of producing an ornament each year that we could make and sell in order to help us with our goal of sustainability. The first year we sold 1,200 angels. In 2014 we added a colorful tree and sold 8,500 ornaments. In 2015 we added a star and sold 13,500 ornaments. Last year we added a beautiful purple ball and sold a total of 32,500 ornaments (!!!!). Not only did we provide employment for the 100+ people, we were able to generate 30% of the total operating costs for all of Project Canaan. HUGE. 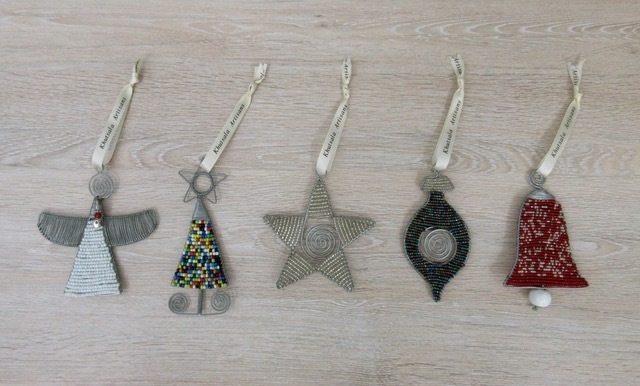 The 2017 Heart for Africa Christmas ornament is absolutely stunning and combines our beautiful bead and wire work with a new SwaziMUD ceramic bead, made from clay right here on Project Canaan. 2017 ornament with red and silver glass beads with a SwaziMUD ceramic bead. 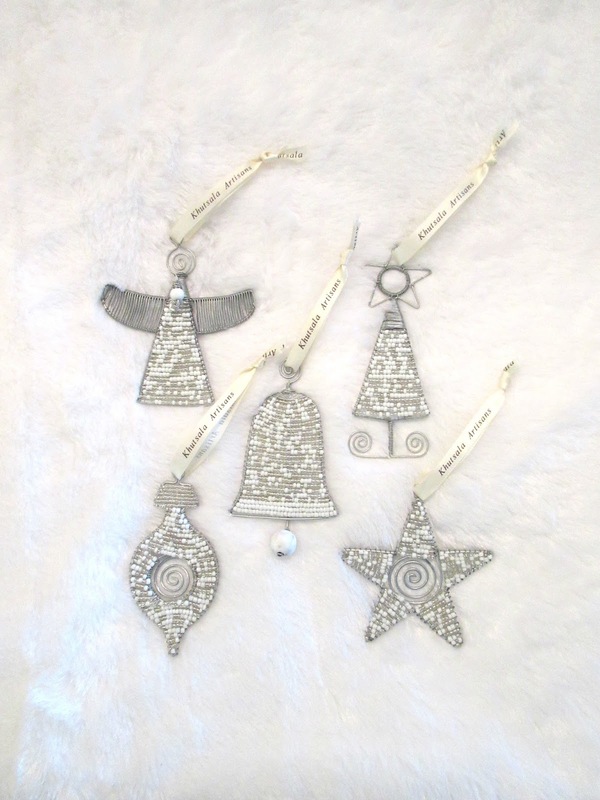 All five ornaments are available. We have also produced all five ornaments in all an all white "Snowy Collection"
Here’s our challenge. It’s all well and good that we have produced 70,000 assorted ornaments and shipped them, but if they don’t sell, we won’t be able to continue to employ the workers here, AND we need to find another way to raise funds to raise our 162+ children. Whity and a very full storage room. Today I am writing for your help. 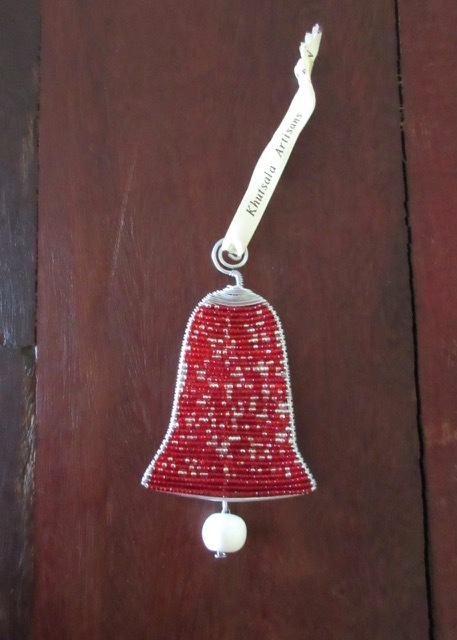 I am looking for people to be Heart for Africa Ambassadors and help us sell the ornaments to friends/family/co-workers, or use them for your personal gift giving. Each one comes in a beautiful organza bag with a cute information card in each one. I know it’s July, and this seems like a really strange time for me to be writing this blog, but the container has shipped. It will arrive at our warehouse in Ohio at the end of August and we really need to have our sales teams ready to go. Will you help us today? If yes, please email Kim Evinsky at kime@heartforafrica.org or me at janine@Heartforafrica.org and we will get you more information. Baby Jonathan update – if you didn’t hear about our almost 2-year-old boy who arrived weighing 14 pounds, please go back and read http://janinemaxwell.blogspot.com/2017/07/i-refuse-to-be-angry-and-i-refuse-to-be.html . On Thursday we took him to the Baylor Pediatric AIDS clinic to have him tested for TB and they hospitalized him immediately. He is a very sick boy. His viral load count is 10 million. He is being treated for malnutrition while we wait for his TB results. If he has TB, we then wait to see if he has Drug Resistant TB. This little guy is still happy, but his prognosis is not good. He is another good reason for you to get on board and help us sell ornaments (while you pray for him). It’s so much easier than asking for donations to help care for our children. I ask again, will you help us? Please? 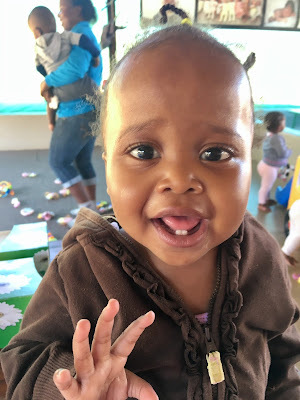 Live from Swaziland… praying for a miracle for little Jonathan. I refuse to be angry and I refuse to be afraid. Last week I was angry, as you may have sensed in my blog. 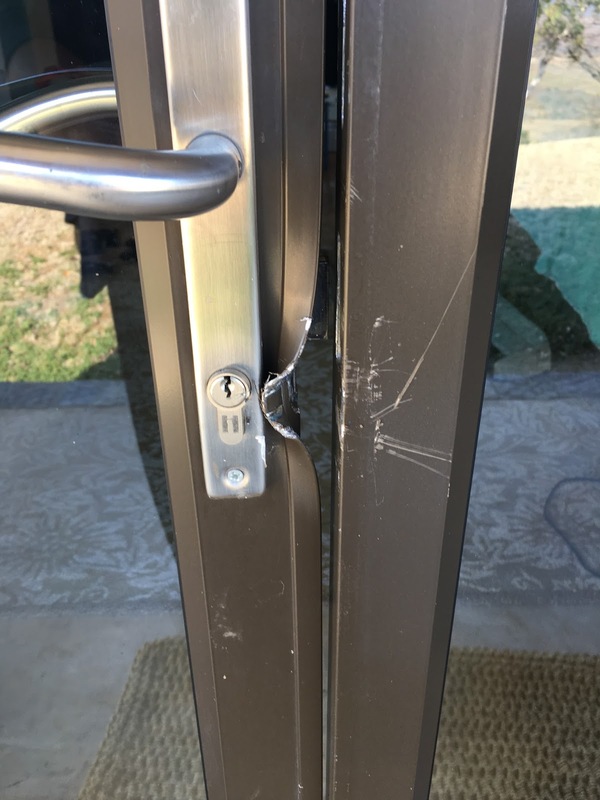 Our house had vandalized, my computer stolen and trust broken. Thank you all for your emails, calls and messages of support. I apologize that I have not responded to many of you, but alas, I have no laptop. A new one is arriving with my friend David on Monday and then I will start to catch up on two weeks of work. These past two weeks have been a real journey in our faith. Neither Ian nor I are fearful people. Heck, we moved to Africa, right? We have never been afraid in Africa, we have felt safe and protected in the tiny Kingdom of Swaziland, but after our home was vandalized things changed. After the break in we wouldn’t leave the house without closing the gates and turning on the electric fencing. We started to hide electronic devices after every use, and our nights became restless, filled with dreams of snakes, polar bears and cars sinking in deep lakes. Fear is not of the Lord, and each day we would spend time in prayer and in the Word rebuking the fear that had come over us, but we are human, and it lingered. And we were angry. I don’t like feeling angry and I really don’t like feeling afraid. Those are two of the absolutely worst emotions for me personally, but we prayed, and prayed and prayed. I am not sure what happened late last week, but my anger went away, I chose to forgive the thieves who violated our space and it seemed that by releasing my anger, fear was taken away. In the midst of this emotional and spiritual battle we had three little boys come to live at Project Canaan. All of them arrived severely malnourished. Little Jesse is 1-year-old, little Barry is 11-months-old and little Jonathan will be 2-years-old on July 27th. All three are developmentally delayed, but Jonathan, who arrived yesterday, is in the worst shape. Jonathan weights 6.5 kg/14 pounds (and yes, he is almost 2-years-old). He is skin and bones, has a weeping ear infection, a fever, HIV/AIDS related bumps/lumps and skin lesions. His hemoglobin is 4.9 and his teeth are rotten and disintegrating. As I reflect back on my last two weeks, I can’t help but give thanks that I have the privilege of being here in Swaziland and to be chosen to drive and pick up each of these little boys. I have the privilege to pray over them, cry over them, care for them and love them back to life. I also have the privilege to care for and love the Aunties and Uncles who do the heavy lifting each and every day. Fear and anger are not welcome in my life. I have been freed, and for that I am eternally grateful. Living aboard is hard at the best of times, but as I often say, living in Africa is not for sissies. Live from Swaziland … driving to Johannesburg to pick up Chloe from the airport!!! Last Sunday while we were at Children’s Church with 159 orphaned/abandoned children and our staff, our house was vandalized. They tried to get in to Chloe’s room using a crowbar, but the steel doors only bent, they did not break open. 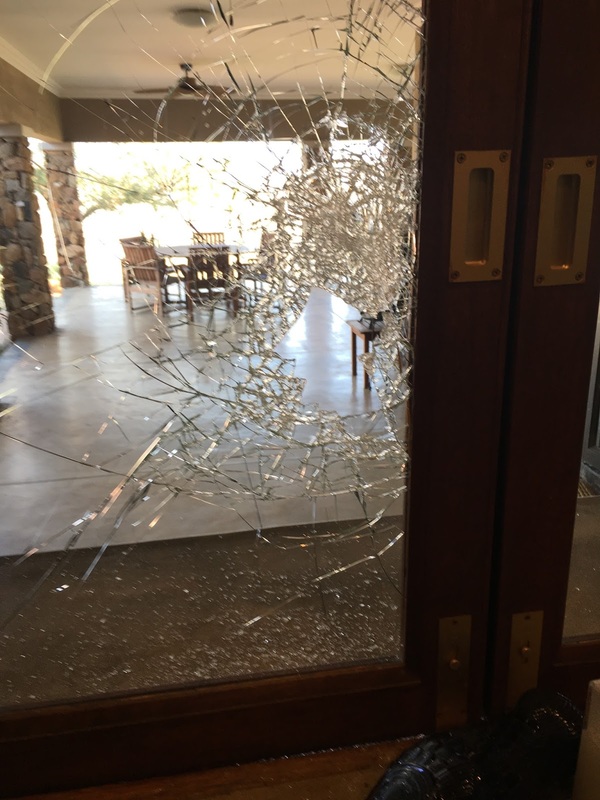 Then they moved to the kitchen window, which is made of shatterproof glass, and viciously attacked the window, only to find no latch on the inside to open it. Then they tried another steel window and final destroyed the doors to our living room and entered our home. They opened every drawer, looked in every cupboard, obviously in search for money, but there was none. They left the house, doors wide open, taking my laptop, another laptop, a chainsaw out of the garage and a few other useless (to them) items. We are quite certain that this was an “inside job”, and that perpetrators know us very well, and know our dogs very well. We have reported this to the Police, the Chief and the Community Police. Since this happened my world has been turned upside down. I guess I am still in shock, but I am not dealing with this well. My brain is stuck in a spin cycle of trying to understand why people would do this. Why the violence? Why the betrayal? And now the whole community has started in the spin. People are pointing fingers at each other from the Supervisor level to the gardener. Everyone has a theory, an accusation, a suspicion and everyone is angry about the attack on us. Ian put out a substantial reward for the capture and conviction of the thieves and the return of our laptops. This has caused havoc in the community, with people crawling on top of each other to point fingers. The traditional healers (some might call them Witch doctors) are busier than ever with individuals seeking “muti” (special potion to bring strength, knowledge, power) so that they can be given a vision as to where the laptops are and then be able to collect the reward. We have even heard that one department at PC has taken up a collection of funds to collectively go to the Witch doctor so that he can help them find our laptops and the vandals. As a a follower of Jesus, and as someone working in Christian ministry, I can’t even begin to get my head around this. Many of the people involved in this are also followers of Jesus, but, I guess, want to cover all their bases in the return of our valuables? I am frozen. My head feels like a computer screen that has frozen. It needs a hard shut down and reboot, but I don’t know how to do that. I am rarely at a loss for words, but I can’t yet find the words to express how I am really feeling. Betrayed, hurt, discouraged, angry, heart-broken, despondent? As I have spent most of the week alone and in prayer, I also know, with all my heart and soul, that God saw the thieves, He allowed them to break in to our home, and He knows where they are now. He sees their hearts and He weeps for them, just as He weeps for me when I screw up. 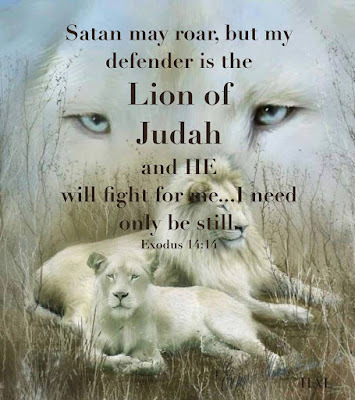 We were protected (we weren’t home at the time), and Jesus is still securely on the throne. Police and social welfare officers tell us daily that the crime rate is escalating in Swaziland. This was predicted by the former Deputy Prime Minister of Swaziland when he told us that he feared the day when the tens of thousands of children who had been orphaned a decade ago would become teenagers and young adults. They would have no moral fibre to keep them on a good path, no jobs to support themselves, no love to keep them safe and no hope for their future. He feared what would happen then. My response was quick (in fact so quick that it surprised me). We are not here to serve the Swazi people or the Swazi children. We are here to serve God, and Him alone. He has given us a hard assignment, and one that does not come without sacrifice and danger. 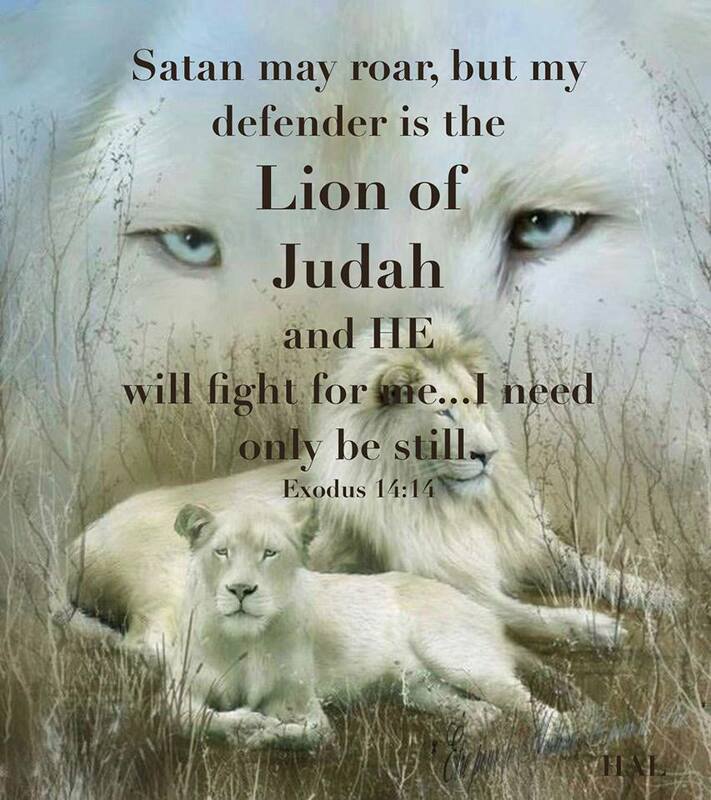 But He is our protectors, always. And for that we give thanks, and go on. Please pray for me, for Ian, for the safety of our children, staff, volunteers and please pray for Swaziland. Live from Swaziland … I am not sleeping well so this blog is a very early post. PS – thank you to the friend who quickly contacted me and offered to replace my laptop. I love you, always. 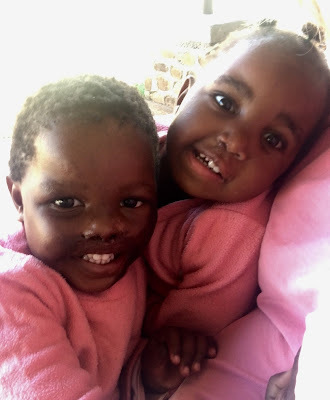 Who would have thought that a little girl, affectionately known as “Janny-Lynn Willis”, born to an unwed 15-year-old girl in Northern Ontario, Canada in 1963, would grow up to become the mother to 159 Swazi children? Who would have thought that Janny-Lynn would be sent off to boarding school, where she would meet a young man whom she would marry 11 years later, and he would grow up to be the father to 159 children? Who would have thought that God would bring together a girl with a mind for marketing/communications with a boy who had a mind for number/operations, have them run a successful marketing company for 16 years, and then send them to Africa to start a home for abandoned babies and farm? Who had even heard of Swaziland, Africa all those years ago? We often say, “We can’t make this stuff up”. And we really can’t. Today is Canada’s 150th birthday, and while I was only 3.5-years-old when Canada turned 100, I distinctly remember the “theme song” that played over and over on the airwaves. “Ca-na-da … (one little, two little, three Canadians), we love thee (now we are 20 million)” and on and on it went. (I had to Google it to prove it to Ian - https://www.youtube.com/watch?v=18-oRTLIe3I). Ian thinks it’s very funny that I remember a jingle from 50 years ago – clearly the Lord designed me in a certain way, and “knew all about me”. He knows all about you too. Isn’t that cool? What is asking you to do today? What has he been asking you to do for a while, that you have been putting off? As the old ad says, “Just DO IT” – otherwise you will miss the blessing that He has in store for you. Who would have thought that we would be celebrating Canada’s 150th birthday in Africa with our 159 Swazi children? Not me, that's for sure. 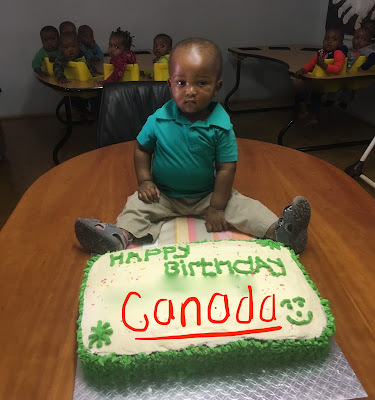 Live from Swaziland … Happy birthday Canada! My home and native land.